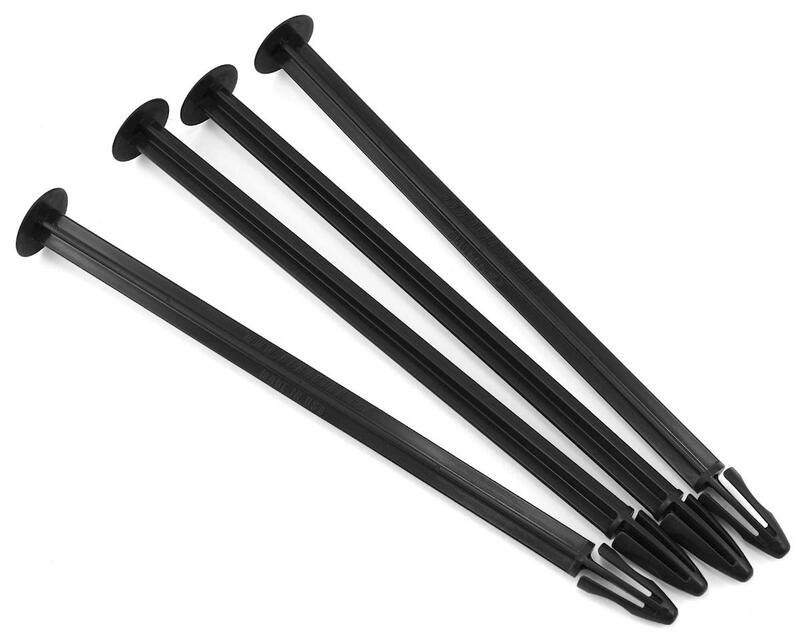 This is a set of four DE Racing Truggy Tire Spikes. This quick and simple to use tool allows you to organize and ID your tires by tread and compound. No more fumbling or guesswork regarding tire sets, lost tires, or extra hardware. 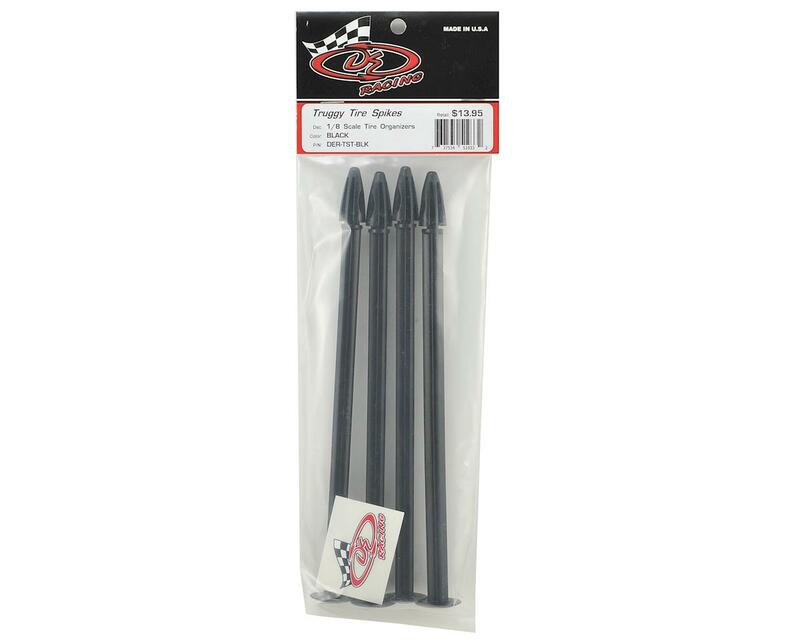 You'll wonder how you ever raced without them. Clearly these do what they are designed to do. They keep your tires together.